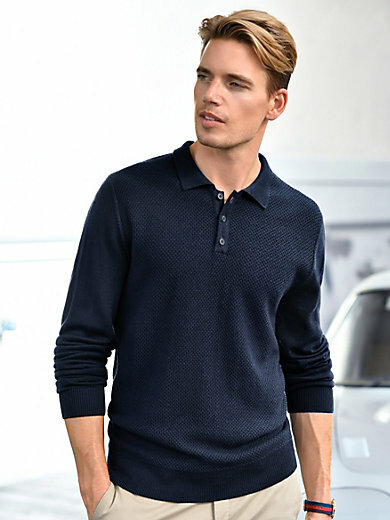 Polo neck pullover by LOUIS SAYN: the sporty classic made from particularly high-quality merino from the Italian yarn manufacturer BIELLA YARN. Meticulously fashioned, with exquisite knit detail at the front and shape-retaining ribbed cuffs. 100% new milled wool. The polo neck pullover is machine washable.